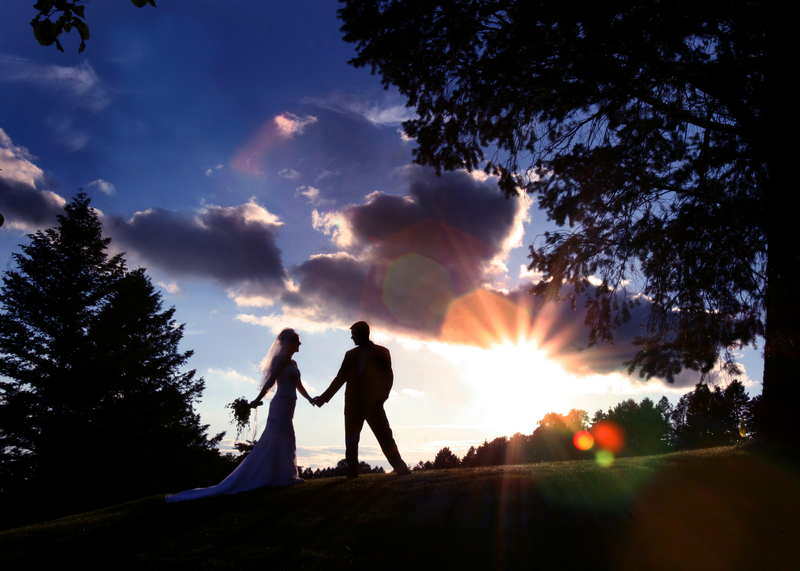 Heidelberg Country Club welcomes both member and non-member functions the opportunity to utilize our majestic venue, nestled in the picturesque hills of Berks County Pennsylvania. We are proud of the feedback we receive on our excellent food, service and exclusively unique atmosphere. 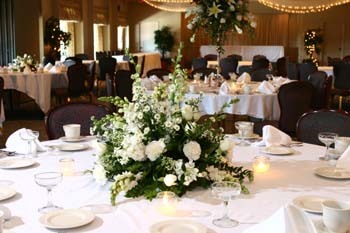 Heidelberg Country Club is a popular location for receptions in the Berks County Pennsylvania area. 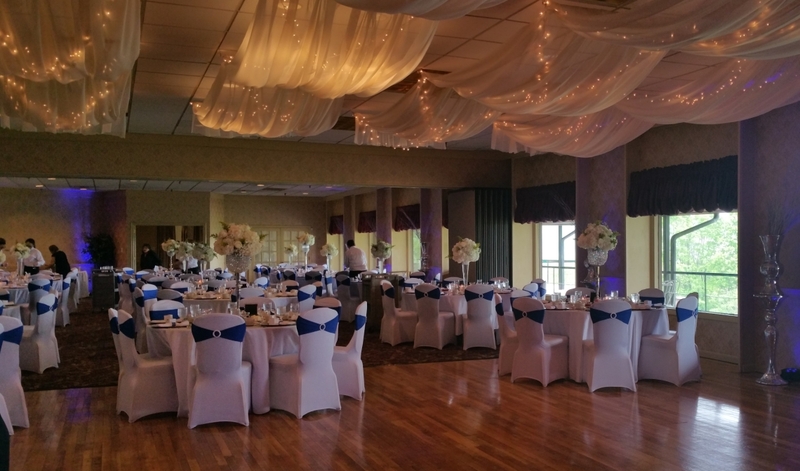 We offer an elegant ballroom, newly refurnished and redecorated, accommodating up to 225 guests. The ballroom has an attached covered balcony offering a breathtaking view. We have a minimum requirement for SATURDAY DATES of 100 people, and we require use of one of our Reception Packages. We strive to find a perfect fit for every budget. 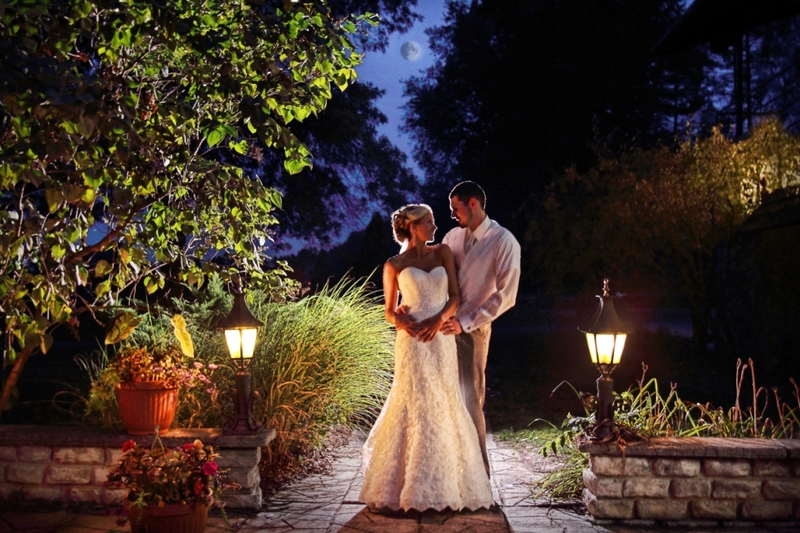 Imagine a Country Club Reception for only $72.95 per person (add tax and gratuity - restrictions apply). 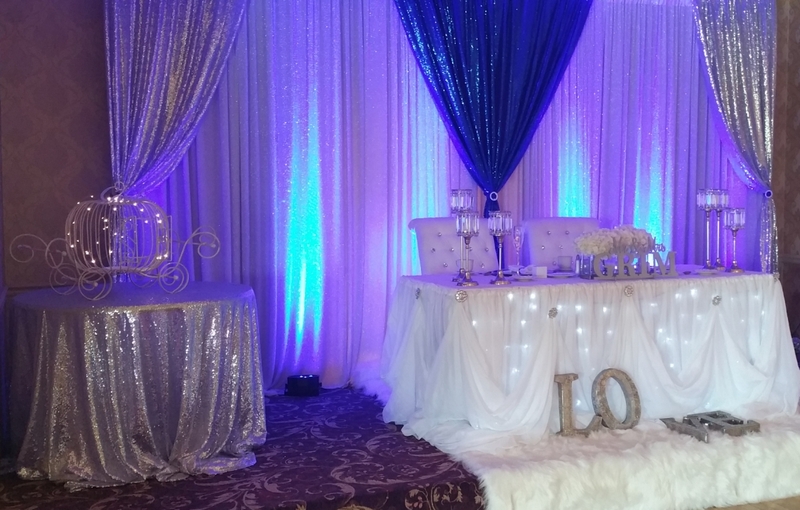 In our effort to find a perfect fit for every budget we have developed a cash bar reception package limited to Friday and Sundays for only $49.95 per person (add tax and gratuity - restrictions apply.) For groups smaller than 100, or not wishing to utilize the packages, we have FRIDAY and SUNDAY dates available using our ala carte menus. 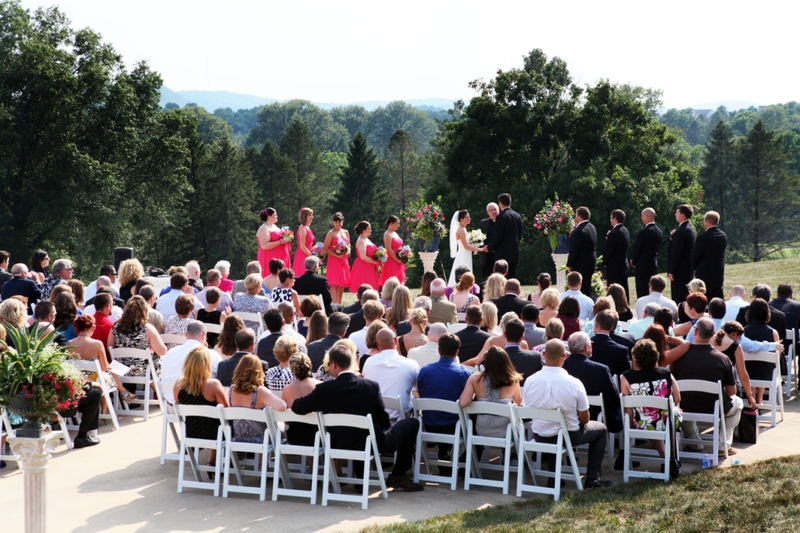 HCC offers a breathtaking outdoor location to host wedding ceremonies. You can choose to enclose with a tent, or go natural . . .keeping in mind if you don't use a tent, our ballroom dance floor is available as your rain backup for the ceremony. You'll find our food is excellent and beautifully prepared. We offer a wide array of passed Hors D'Oeuves including Sesame Chicken Skewers, Egg Rolls, Mini Quiches, Coconut Shrimp, and Mini Crab Cakes. Our entrees feature great versions of Chicken, Beef and Seafood Dishes as well as the possibility of upgrading to Prime Rib, Filet Mignon and other dishes. 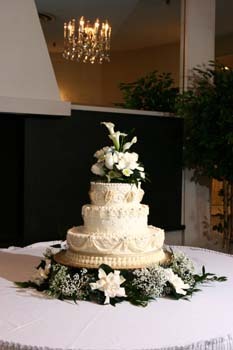 A beautifully decorated wedding cake by Unique Desserts from West Reading or Cake A Fare in Myerstown. We are proud that our packages have been fondly described as "one stop shopping". At Heidelberg we book only one reception per day...consider it your castle for the day! 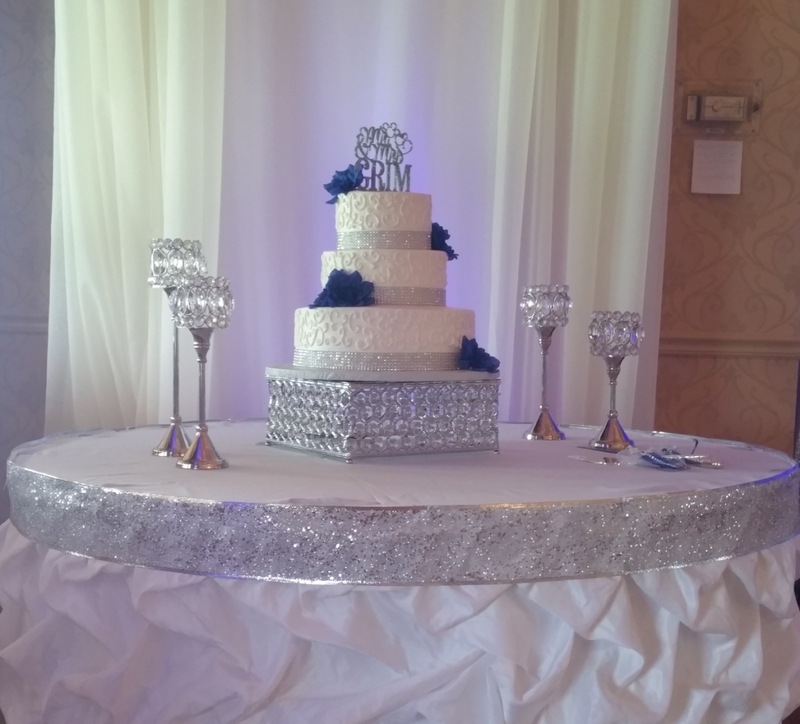 Also included in all packages at no additional fee you'll receive: On-site Wedding Reception Coordinator, Round Guest Tables, Linen Tablecloths and Napkins, all China, Glassware, and Silverware, ample convenient parking (including handicap acess. Also receive a complimentary booking gift of a foursome golf gift certificate for use in the calendar year, Under age 21 special entree and pricing, and special dietary entrees are available. (NOTE: Our on-site ceremony space is available for an additional charge.